Money can feel so overwhelming sometimes. The good news is that you can learn how to change that. I’ve listed 10 ways to improve your finances now that will get you started asap. They’ve helped me go from broke grad to money pro, and I believe they can help you, too. Love ’em or hate ’em — budgets can help you improve your finances almost immediately. With a budget, you track your money coming in (your income) against your money going out (your expenses). If you do this implement a budget, you can feel less money stress every month and actually start having money for things you want to do in life (imagine that!). These resources can help you stop living paycheck to paycheck and help you create a plan for your money. Financial freedom starts with your budget! It’s that important. You need to make enough money meet your financial goals. If you’re not doing this from your day job, then figure out how to make extra money on the side. Say yes to more hours at work; work toward a bonus; pick up a side job; start an online business. Whatever you do, do something! Whatever you do, find ways to make more money every month so you can reach your financial goals. Don’t let your lack of income be the excuse you use to stay broke. You need to set financial goals if you want to change your finances. Examples of goals can be to get out of debt, pay off your student loans, or save for a new car. Whatever your financial goals are, make sure you write them down and use the SMART method of goal setting. Download Dream Year: How To Achieve Your #1 Goal This Year And Feel Good Doing It to learn exactly how to set goals. Your financial goals will move you from where you are now to where you want to go. Without them, it can feel impossible to make progress financially. Start tracking your net worth to see where you are financially. Tracking your net worth is how you measure your overall financial health at a given time. It’s a good indicator of where you stand financially today. To track your net worth, use my net worth spreadsheet in the Budget Spreadsheet Bundle. This will get you in the habit of calculating your own net worth, instead of just using an online aggregator. To track your net worth, subtract your liabilities from your assets (net worth = assets – liabilities). Every month or quarter (whichever you want), update your net worth. This will show you how much your net worth is increasing (or decreasing!) over time. If you want to have financial success, measuring your net worth is a must. Financial experts recommend saving an emergency fund of three to six months of discretionary expenses, or even more depending on your sources of income (if you have one source versus three sources every month). The one thing that I know for sure is that having an emergency fund takes away the fear around emergencies with respect to how you’ll pay for them. The emergency still may stink, but you won’t stress and worry about how you’ll pay for it if you have money saved. And emergencies will happen. They happen to everyone. Create a plan to get out of debt now. You owe it to your future self to get out of debt now so you don’t have to worry about it later. As of last month, I have paid off $100k of student loan debt. This started after law school when I had $206k in debt from undergrad and law school. I still have a long way to go, but I’m using my blog income to help and hopefully pay it all off in the next couple of years. After focusing on my own personal financial education, I committed to a plan to get out of debt. If you understand how much you get back every month by paying down your debt (which is exactly what you pay in interest), then getting out of debt becomes too good of a financial option not to do as a top priority. This is why taking a course like Budgeting for Budget Haters becomes almost necessary — it’s really hard to do this stuff alone. 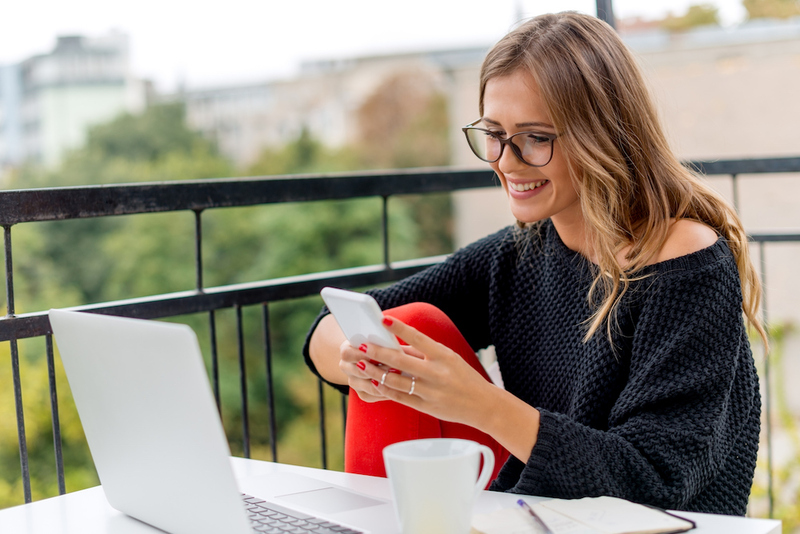 It’s so helpful to have someone guide you through how to create a budget that can help you understand why it’s important to pay off debt — and how to do it asap. Start saving for retirement as soon as you can. There are so many different ways to save for retirement, but a great place to start is with your employer’s plan. If your employer offers a match, it’s a good rule of thumb to invest up to the match at the least. If your budget allows you to save more, then save more (or up to the max). Saving for retirement early is really important because you have the advantage of time that older people don’t have. It’s not enough to simply start saving for retirement. You need to learn the basics of retirement saving. 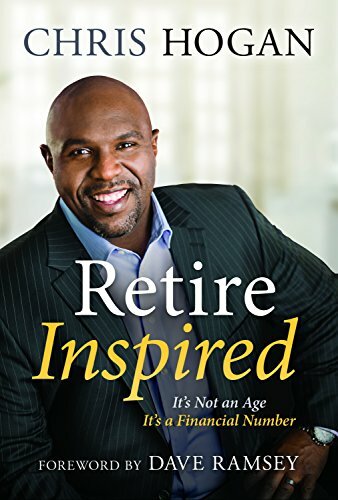 For that, start by reading Retire Inspired by Chris Hogan. Check your credit reports and credit score annually for free using AnnualCreditReport.com. Not only will you be aware of your score, but you will know what is on your reports and whether there is any incorrect information listed. This is one way to know whether you’ve been a victim of identity theft. Read How to Check Your Credit Reports & Credit Score to learn how now. What you believe about money is going to become your reality. When I didn’t know anything about money, I felt broke and came from complete scarcity. Once I learned how to think differently (better!) everything changed. I turned my six figure student loan debt into a six figure business. And it all started from changing my belief systems. You can join the Money Mindset 7 Day Free Training to get free training on this now. Assets increase your net worth and are the key to building wealth. Wealthy people have assets (something I first learned from the book Rich Dad Poor Dad by Robert Kioysaki). If you want to build wealth, get out of debt and acquire assets. You’ll watch your net worth grow, and you’ll be amazed at how you can change your financial future just by adhering to simple rules. A few years ago, I knew nothing about money — at all. Fast forward to now, and I’m a financial expert, certified financial planner, and I turned my six figure debt into a six figure business. Keep focusing on your financial life. It can pay off big time! Really cool tips, Natalie. Just tracking our expenses and doing some budgeting really pushed us forward when it comes to our own finances. I wished I did this earlier, I wasted at least 15 years of my adult life careless about money. I think budgeting is probably the most popular of these steps, Ramona, so that’s awesome it’s working for you, too! Yep, this is all really adult stuff! We’re doing it all now, but we weren’t until our late 20’s. Adulthood gets easier when you have your stuff together and actually care about your dreams and goals. Great advice, Natalie. I agree that creating some margin–through savings, lowering expenses, possibly side hustling–is key. We have made financial flexibility our goal. The more margin we create, the more options we will have both now and in the future. Margin is so underrated, Kalie! Number ten really speaks to me. There have been times when I made unwise decisions financially and it really affects other aspects of your life. Simply asking yourself “Is this the best decision given my financial situation right now?” is a great habit. SO important, Aliyyah! If we all did just this one alone I think we’d be in better shape. Amen. Same here!! Better late than never! Budgeting is really important whether you are making a lot of money or a little. Even multi billion dollar companies have a budget which if you think about it makes sure that they stay in the green. If we put that effort in we too can be successful. Making big purchases carefully is a great tip. With our current house I think my wife and I agree we didn’t realize 1) the time it would actually take to do bigger renovations ourselves or 2) how much exactly it would cost to change the house. If we had thought about it a bit more we may have went for a smaller house that was more updated. You live and you learn. Goals are really important in getting financial life in order. I listed my goals so that I am fully aware of my priorities and can make changes accordingly in my budget. Without goals, I don’t think I would be successful as goals give me direction in achieving my financial goal one after another. Natalie, I like that you pointed out that it would be a good idea to set some financial goals. That way you always know what you are working towards. That might also make talking to professional financial planner a lot easier because you can tell them what you want to get out of their services. Great article that highlights the details of adult finance. A lot of young adults that are not independant yet do find it increasingly hard to transition into an adult that has to manage bills, mortgages, contracts and finance in general. The key message to get across is to always PLAN AHEAD! I analyze all aspects of any financial decision I make. For example, before I make decision “x” – I think about how will it impact my life positively or negatively. I write these points down and it helps me to figure out if the decision is a good fit for me or not. Great tips, thanks for sharing! I never knew that there were apps to help with budgeting. I think that I might download one. I’ve recently got into keeping track of our spendings because we’re trying to budget better. Only because we want to save up for a house someday. Having enough money set aside is probably my biggest worry, so totally agree there. However, I think that you should definitely distinguish between good debt (used for investment) and bad debt (used for personal and consumer products) and between essential assets (like your only car) and disposable assets (investments) in your net worth. It was meaningful to learn that If you get married and buy a house, you increase your responsibilities and make it harder to get out of debt. I am getting married in January and my husband still has student loans that he needs to pay. Looks like we will need some professional help before buying a house! These are such great tips Natalia. I’ve got into the habit as well of paying myself first. I will always take 10% of my pay and put it into a bank account i cannot touch. This way I know i’ve got some control over my money each week and putting myself first. I like that you said that we need to consider our past experiences. Whenever I buy anything I make sure it is something that I will use after the first use. Buying something that you don’t use, I think, is a waste of money. You might want to hire a professional to help you with finances if you are struggling. These steps worked for me! I was age 32 in the mid-eighties when Money Magazine published an issue full of planning worksheets; no computer programs back then, had to do all the math by hand. It was actually kind of a fun process, and was instrumental in heading me in the right direction. I begin Medicare a little later this year, I’ve been totally debt free since age 59, and the part time business I began as a tax preparer in the 90’s is now my sole source of income. I work hard for about three months, and then it’s R&R for the other nine. I’ll be passing your blog address along to all my clients via my newsletters. That is amazing! It sounds like you’ve been on the right track for a while! Love this list!!! I never thought of keeping track of my assets. Great advice! Yes, you are 100% right on this, I was wasting my young age to save the money but now im realizing, your tips are an eye opener to anyone, keep post like this because it could be helpful for anyone to upgrade their life am I correct? I appreciate the tip about building a fund of discretionary expenses for at least three months. I’ve had a really hard time sticking to a savings plan in the past, and I’m worried about how I might pay for an emergency. Maybe it might be good for me to ask a professional for advice on how to start saving. Keeping track of my credit score and paying down debt have been the best for my financial health. The longer your credit cards or student loans hold you down, the less money you’re going to have for yourself in the long run. Thanks for sharing! I used to think we could always do #10 later… but it is later! We’ve got 3 kids with a 4th on the way. Even though they are little, it’s important to prepare for when they are out of the house. I’d like to buy a house but it’s so difficult to save enough money for this purpose. This article is a real help and my favourite part is about setting an action plan in order to change the way of spending finances. I’ll definitely set up an appointment with a financial consultant and discuss these recommendations in order to make sure that I do everything right for fulfilling my dream.